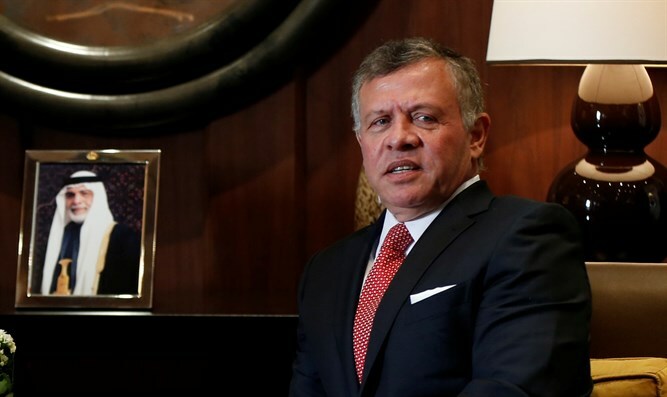 King of Jordan cancels part of agreement which leases land in Arava and Naharayim to Jewish farmers. In a dramatic move, following a mass demonstration in Amman, Jordanian King Abdullah announced that he has decided not to extend a part in the 1994 Jordanian-Israeli peace treaty which leases regions of the Arava and Naharayim to Israel. These are areas which Israel ceded to Jordan in the 1994 agreement. However, Jordan agreed to lease the areas to Israel so that Israeli farmers there could cultivate the land. An addendum to the agreement stipulated that the areas would be leased out for 25 years, and either party could decide not to extend the agreement with a year’s advance notice. Now, 24 years after the agreement, Jordan officially announced that it would not be extending the lease. An official announcement was made about the move in Amman, and an identical notice was sent from the Jordanian embassy to the Israeli foreign ministry in Jerusalem. It should be noted that recently, relations between the two countries had actually improved, with a meeting also held between Abdullah and Prime Minister Binyamin Netanyahu. This followed a period of sour relations in the wake of the incident in which an Israeli security guard at the embassy in Amman shot and killed two people after one of them tried to attack him.